A lot of people receiving their annual car insurance renewal notice probably just give it a quick inspection, make a mental note of what the new premium will be and then file the documents away. However, how many give any thought as to how much their premium may have increased by? Possibly not enough policyholders. Car insurance companies may have to disclose at renewal how much the customer has been paying in premiums over the last 12 months. Well, if more insurance companies made it clear how much their customers have been paying each month for their car insurance over the last 12 months when sending out their renewal notices this may encourage a larger number of motorists to work out the difference between what they have been paying and what they are being asked to pay (usually more) and then try to do something about it. You may be interested to read that the Financial Conduct Authority (FCA) is proposing that general insurers make it clear to their customers what they have been paying for their cover over the last year on the renewal documents. In doing so, it will be hoped that that this will persuade more people to start looking around to see if they can get the most suitable cover but at a lower premium than what is being quoted on the renewal documents. 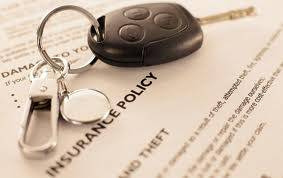 It could also encourage more policyholders to challenge their existing insurer about the amount they are being asked to pay and perhaps try to persuade them to maintain their premium at what they have been paying for the last 12 months or negotiate a figure that is acceptable to both parties. Interestingly, last year, the FCA conducted a trial with 300,000 customers to test the impact of various types of information being provided to them when renewing their policies. It was discovered that in the region of 11% to 18% more customers were prepared to move from one insurance company to another or try to persuade their existing insurer to lower their premium when they were told what last year’s premium was on their renewal documents. Feedback is required by the Financial Conduct Authority by the 4th March 2016 about what it is proposing.